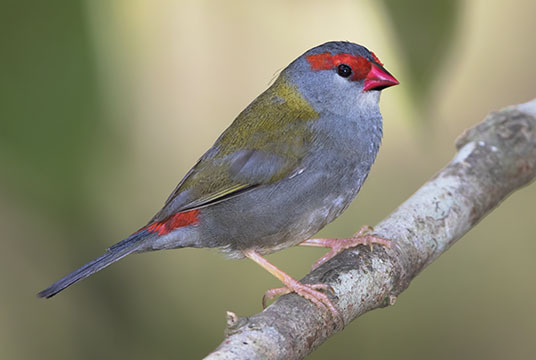 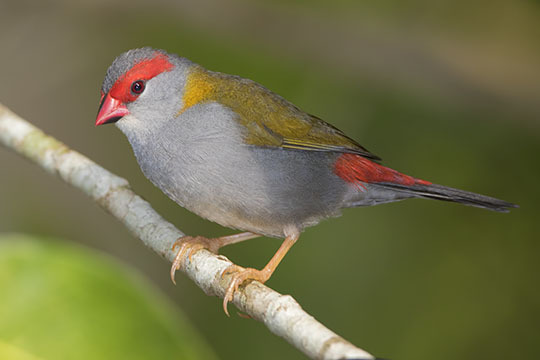 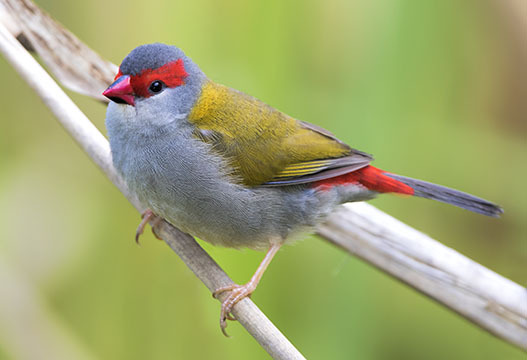 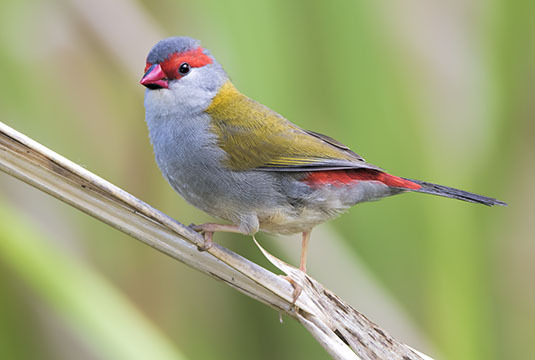 The half-dozen or so firetail finches in Australia are small seed-feeders that usually have some red coloration and often a very intricately marked overall plumage. 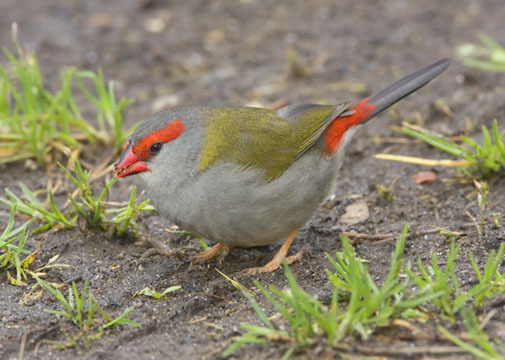 The red-browed firetail is an exception to the latter 'rule', with a green-brown color with red eyebrown and rump. 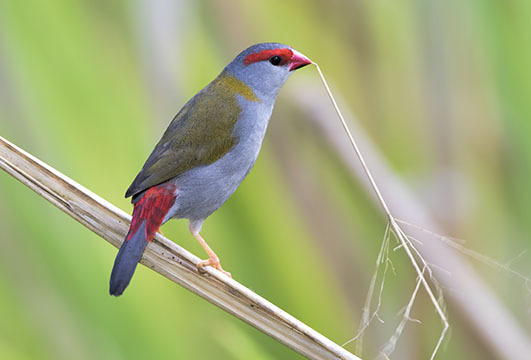 Many firetails are arid-country birds, but this species is found in coastal forests and rainforests in eastern Australia. 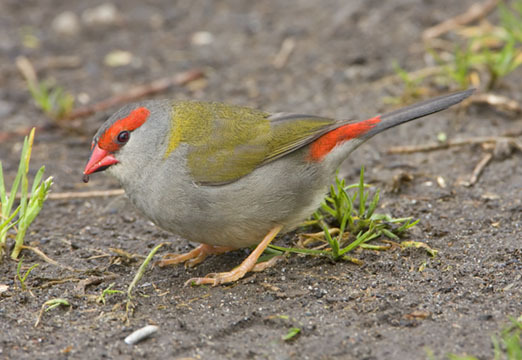 They were photographed in Wollongong, on the southeastern coast of New South Wales, and near Julatten in far-north Queensland.